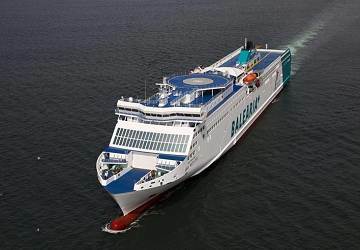 The Palma Barcelona ferry route connects Mallorca with Spain and is currently operated by 2 ferry companies. 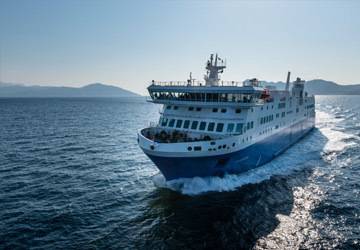 The Balearia service runs up to 7 times per week with a sailing duration of around 7 hours 15 minutes while the Trasmediterranea service runs up to 12 times per week with a duration from 7 hr 30 min. 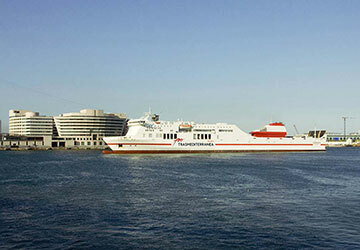 So that’s a combined 19 sailings on offer per week on the Palma Barcelona route between Mallorca and Spain. Compare now and get the best fare at the time that you want to travel. Prices shown represent the average one way price paid by our customers. The most common booking on the Palma Barcelona route is a car and 2 passengers. Recently had to change our plans and return to the UK overland. 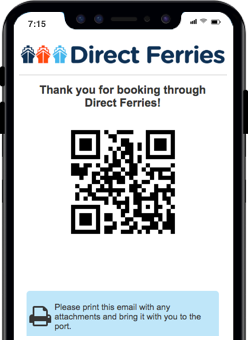 The first part of our journey was by ferry from Palma to Barcelona with Direct Ferries. The whole experience was brilliant. 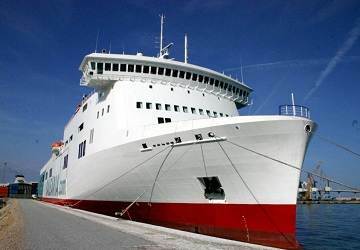 Their website made booking seats easy and the staff both at the port and on the ferry were friendly and helpful. The ferry was comfortable and clean and the time seemed to pass very quickly. Embarkation in Barcelona was smooth and quick. I found the ship clean and pleasing. All in all a very pleasant crossing. "Good ferry, shame there was no quiet room!" Comfy ship and good quality canteen, though food was a bit cool by the time I got there (microwaves helped). shame that every public area inside the boat had a television playing, including the lounge with comfy reclining seats. This made it difficult to have a doze, with to noise even seeping through earplugs.